Thanks for posting the videos. I'm a bit surprised that you can grok his message but choose to work in the spider verse of SL instead of contributing to one of the starfish. 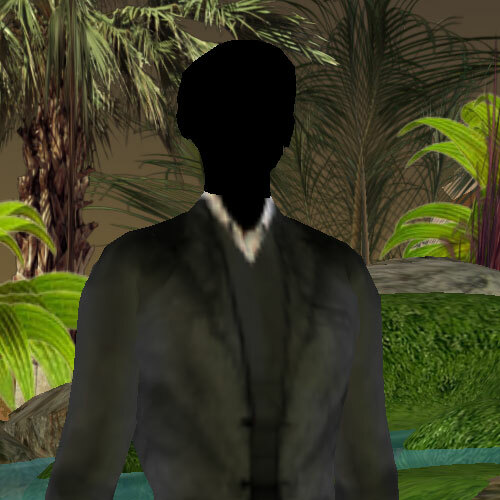 Second Life is controlled by a single corporate entity, hosted on centralized hardware, governed by a single legal structure, and is fundamentally structured around the centralized idea of One Big World. In this analogy, Linden Lab is the spider head and if you chop it off then Second Life is dead. I think I have to disagree with Beckstrom then, I guess ;). And I really do. The thing Rod says about Starfisch companies is that they are decentralized but in order for this to function, there needs to be a very very clear set of operational protocols. In this, each organisational cell has to have the maturity to operate autonomously within the main ideology. But what happens in unforseen circumstances? Who makes the decisions when a company comes into a crises? It is impossible to have a full starfish company. What happens if we’re in a hostile take-over situation or a scandal? Who will have to pick up responsibility in the end? What if two decentralized cells or organisational units have different interests, or even conflicting interests, who mediates or puts out strategy in the end? An example of this would be typically Dutch churchlife. In the Middle Ages we had the Catholic Empire. Super centralized and only the clergy had Bibles, their handbook, protocol set. That didn’t really work and Calvinism rose and in the ages past dozens of religious factions appeared. Each having their particular organisational model. Some with centralised governing bodies, others decentralised. The particular set I go to is kind of decentralised. Locally governed churches. Each member of the church has his/her own handbook nowadays and we’re all considered to be really smart intelligent people. There are occasions though that Elders put out a different gospel, to keep with the handbook, a cell leader that thinks the set of protocols needs to be altered a little, or other issues that can’t be solved at a local level. For this occasion there’s a national assembly every four years to judge these things. Consider changes or addenda to the protocols and make a ruling in cases where protocols have been violated, or challenged. Optimal performance is a cross between Starfish and Spiders I guess, or every rule has its mandatory exceptions. Now when it comes to Second Life, is it really a Spider company? In part it is, it’s true Linden Lab brings us Second Life. It’s true they’re responsible for many things. But in part it isn’t. Linden Lab itself isn’t a spider corporation. There’s the tao of Linden which allows each unit or individual employee incredible freedom in picking his / her own priorities (LL should be more Spider in this regard). De grid is spread over several hosting locations, yes true, all LL owned. Take out part of the grid, the other part lives on. Ogoglio of course is different. It’s open source and if we chopped off Trevor’s head (that’s a no-no) Ogoglio would live on. You can run it at home. Great stuff, and very very Starfishish. There’s a wide range of variety though. Second Life is open, decentralized sometimes even anarchistic when it comes to user generated content. If we’d cut off Philip’s spikey head (also a no-no) would content creation stop? We’ve got tens of content development companies and we’ve got an active, contributing community. This can’t be said for a range of other platforms, even when the are enterprise platforms and you can run your own version of it, you’re still by far and large dependable on the platform owners for content creation. Heliview organised a web 2.0 seminar today at the Jaarbeurs in Utrecht, titled "From Web 2.0 to Enterprise 2.0" It's keynote speaker was Rod Beckstrom, author of the Starfish and the Spider. Below is the presentation he did at the Next Web Conference, which is pretty much the same story and same slideshow. Sit down and enjoy. It's good stuff.